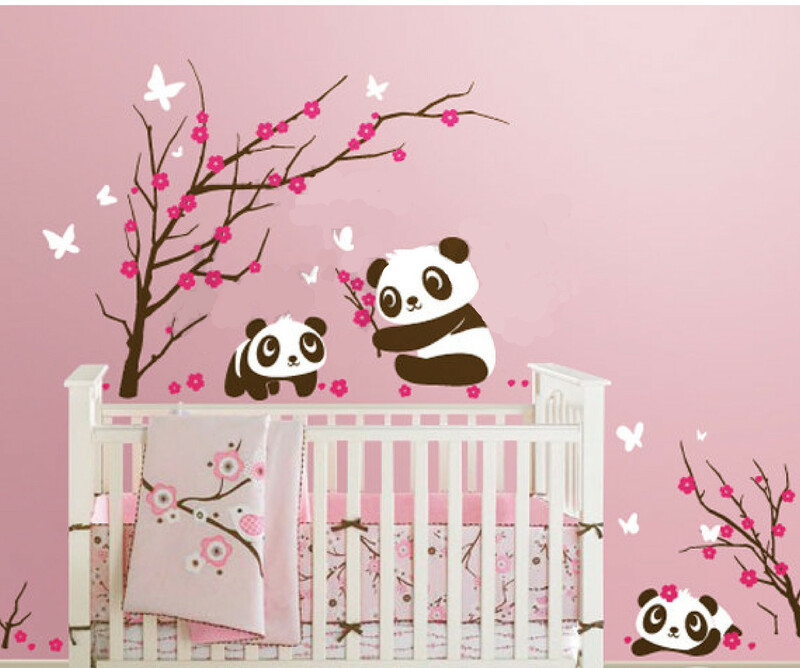 6 Panda in cherry blossom - Leafy Dreams Nursery Decals, Removable Kids Wall Decals-Stickers SALE NOW ON! Gorgeous cuddly pandas playing amongst the cherry blossoms. 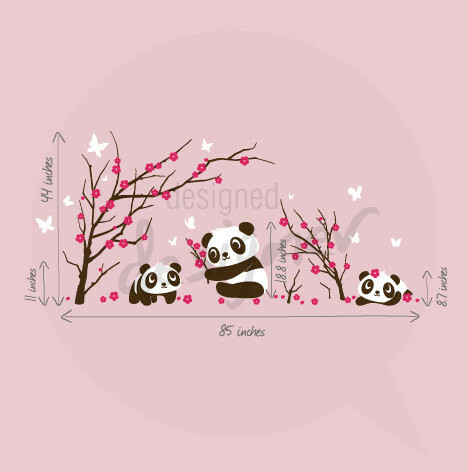 Have fun positioning the blossoms and pandas wherever you like.